This is a story about my Mum – Joy. More than 1,500 people from local Bridgend businesses, shops, churches, schools and voluntary organisations have signed up to the Dementia Friendly scheme, which is designed to establish a network of communities where people who are living with dementia can experience respect, understanding and support. Magenta is very proud to be counted among them. The team is also fund raising in various ways to raise vital funds for a disease that is still poorly understood and for which, there is no specific NHS funding. We have taken part in the Memory Walk and dressed as elves at Christmas, to raise money over the last year. Because of my experience with my Mum over the last 3 years, I know how important some of the work we are doing at Magenta is. Dementia sneaks up and especially when you see someone regularly, as I did Mum, you don’t notice the changes at first. When someone is very elderly, you expect a degree of memory loss and ascertaining what is “normal” and what is not, can be very hard. A little over 18 months ago, my Mum was living almost independently in a warden assisted flat. She had a “helper” who came in once a day for an hour just to do a bit of cleaning or shopping or just for a chat if that was all Mum wanted. Mum called them a “helper” as “only old people have carers.” At the time she was approaching her 90th birthday! The helpers were from a company called Home Instead and would do anything Mum wanted except for medical care. Mum grew fond of the small team of ladies who looked after her. Mum’s 90th birthday came and went and we decided as a family that she needed a little more help as she was starting to behave oddly. For example: She indexed her entire flat to make it easier for the ladies to find anything if they needed it. The only problem with this, was that she had made a list of the contents of each drawer or cupboard in its own folder and the only way you could find the Sellotape was to read through each folder until you found which one had it listed! It was quicker to open the drawer and look! She also got very fussy with her food and the Wiltshire Farm Food catalogue that had served well for about 2 years, proved no longer useful as she would only eat three things from the entire book. She used to forget what she had eaten, so started logging that in a notebook, together with any other things she though we would be interested in. We decided to increase the helper visits each day, as it was clear she needed more help. Fate intervened and Mum was taken ill and went into hospital where she stayed for 3 months. Sadly, as I realise now, dementia sufferers often have a “step change” at times like this and when the time came for Mum to be discharged, her dementia had been formally diagnosed and medication started. The independent woman was gone forever, and we had a very anxious person in her place. We arranged carers to visit 3 times a day and also meals on wheels to sort out the food issues. Mum lasted 36 hours at home before she was readmitted to hospital, she just couldn’t cope, despite her wish to go “home” not “to a home” which was the hospital’s preferred option. I managed to get a place for Mum in a lovely care home near where I live so I can visit more often and take her out for the day on a Saturday. Despite the medication, her dementia has progressed quite rapidly. She knows who we are but is very confused by family relationships, – who is married to who, whose children are whose. She has no concept of what day of the week it is and her short-term memory is virtually non-existent. Her behaviour, when we take her out for lunch can be a bit challenging. Mum thinks it is perfectly okay to take out her teeth and lick them clean during a meal! And often says things very loudly that are somewhat inappropriate. Luckily, we have several dementia friendly cafes where we live, and they make a point of welcoming Mum. She can’t remember having been there before but occasionally she will recognise someone, so it is lovely they take the time. Recently we took her to the Botanical Gardens at Llanarthne and it was here Mum came alive again. She was a very keen gardener and was able to recall the Latin names of a lot of the plants. Additionally, there is an apothecary shop on site and as she used to work in a pharmacy in the early 1950s she really enjoyed this too. We will definitely be taking her back there again soon. Like a lot of people with dementia, Mum gets very anxious and medication has helped that to a degree, although she is still worried when she is somewhere new, that she will be abandoned. All we can do is to reassure her again and again as is necessary. Having a relative with dementia is very hard and the biggest thing for me was learning to stop grieving for the woman my Mum was and to learn to love the woman she has become. Fortunately for us, prior to her becoming unwell, Mum had made sure her Will was written and also had both types of Power of Attorney in place. 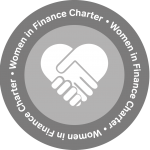 This means that I have responsibility for Mum’s health and welfare, as I live closest, my siblings look after her finances and we make any important decisions as a family unit. At Magenta we recommend all our clients to Wills and Lasting Powers of Attorney. If Mum had not done this, especially as her decline was very rapid, we would not have been able to look after her as well and as easily as we are. We would have to apply to the Court of Protection and seek its permission to action all our care and financial decisions. 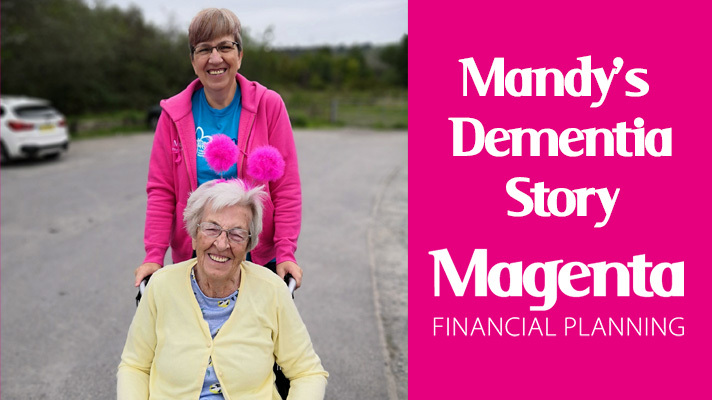 At Magenta, as a result of our Dementia Friendly training, we have written guides for staff to enable us to be able to spot which of our clients may need help and to safeguard their interests. We are looking at ways we can simplify the language we use to ensure that our letters and reports are fully understood. All of our staff are trained as Dementia Friends and the business is Dementia Friendly. I would encourage anyone who is living with dementia or suspected dementia to seek advice and get properly organised, as the emotional strain is hard enough without having to worry about finances or healthcare. If you would like to talk about any of issues I have raised in my story, please do not hesitate to call for a friendly chat.